A Creme Brulee is a custard topped with a thin layer of melted sugar. The melted sugar provides a delightful contrast in textures – the silky, smooth custard against the crackle of the sugar candy top. 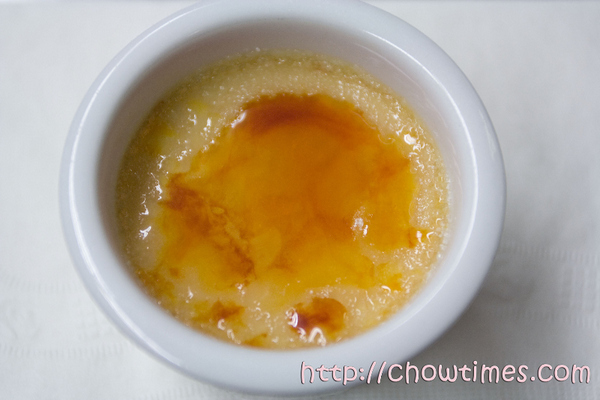 A traditional creme brulee is a mixture of eggs and cream cooked until the proteins in the eggs coagulate. This Low Fat Creme Brulee is made from milk, egg substitutes and reduced sugar which brings less guilt when we indulge in this deliciously rich dessert. But yet, it still maintains the silky smooth custard texture that we love. 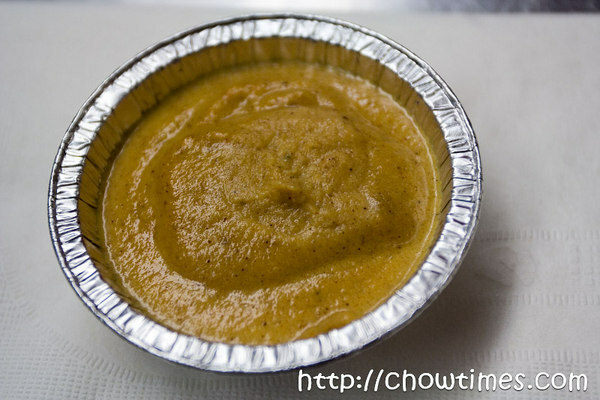 Congratulations to Christine Duncan for being the first entry with an all correct answer to chowtimes’ first (and hopefully not last) contest. Christine wins a pair of Winter Special New York CityPass. Christine, I will send you an email later on today on claiming your prize. Anyway, I wanted to thank Susan Wilson from CityPass for sponsoring the contest tickets. Lorna had requested a creme brulee making demo in the Gilmore Park Church community kitchen quite sometime ago. I can’t think of anyone who does not like creme brulee even though it is not exactly the most healthiest dessert around. Karen remembered Lorna’s wish in this week’s cooking meet. So, Karen made not the normal type of creme brulee but two: a Bistro Pumpkin Creme Brulee and a Low Fat Creme Brulee (yippee!). The Bistro Pumpkin Creme Brulee is made on the stove top. However, this creme brulee does not have a silky smooth custard as traditional creme brulee but it’s quite grainy instead. It’s more like a pumpkin pie filling. Try it for a change particularly around Halloween. It’s a change from the normal creme brulee. Andrea made some savoury muffins in the South Arm Community Kitchen. 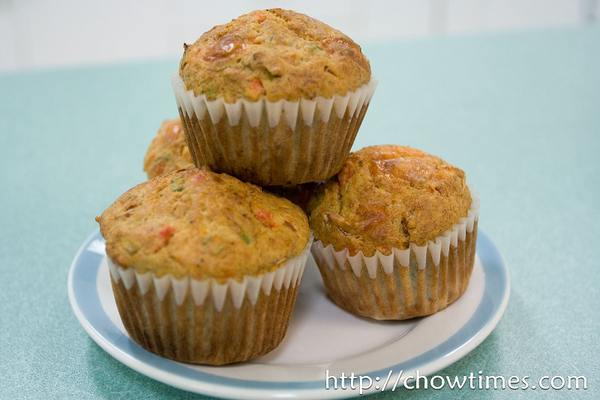 The savoury muffin is something different from the usual sweet ones like banana muffin, chocolate chip muffin, blueberry muffin and more which you can find in the quick bread category in chowtimes.com. 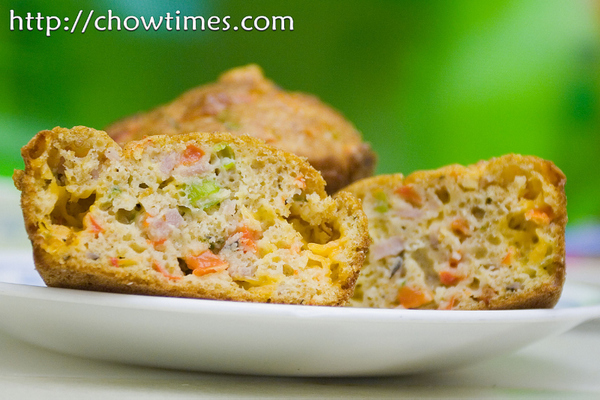 These savoury muffins are great for school lunch or picnic. 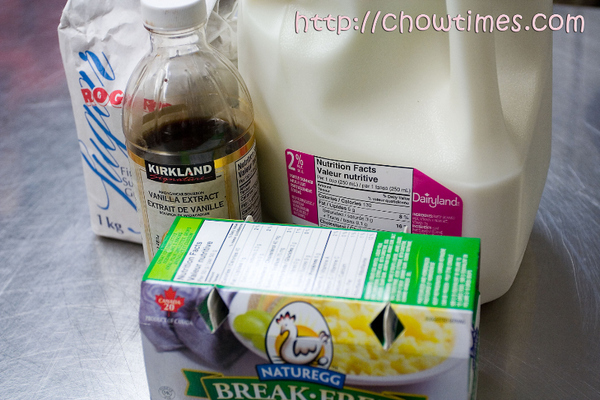 It is a complete meal with all the basic food group like grain products, vegetables, milk and meat. What I like about this muffin is its portability. It can be easily fit into a lunch box and can be easily transported in a cupcake caddy. Usually, when a recipe use baking soda as a leavening agent, it needs an acidic environment for the chemical reaction to take place. 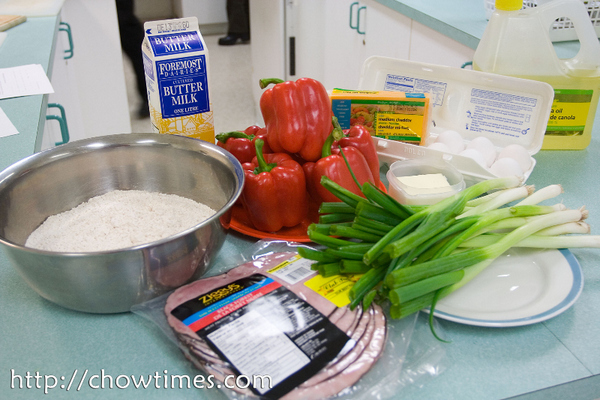 A little side note here, the South Arm Community Centre will be starting a cooking club for seniors in January 2008. It will be held in the South Arm Community Kitchen every 2nd and 4th Tuesday from 10am to 12:30pm. The cost for this program is $3 per session, to cover the cost of the ingredients. This cooking club is intended for seniors to come and meet regularly and cook healthy and nutritious meals. For those interested, you may contact Stella of South Arm Community Kitchen @ 604 718 8070. A couple of weeks ago, I contacted CityPass asking if they would be kind enough to sponsor a couple of CityPasses to New York that I could give away to readers of this blog. I was pleasantly surprised that they replied and told me that they would love to do that. 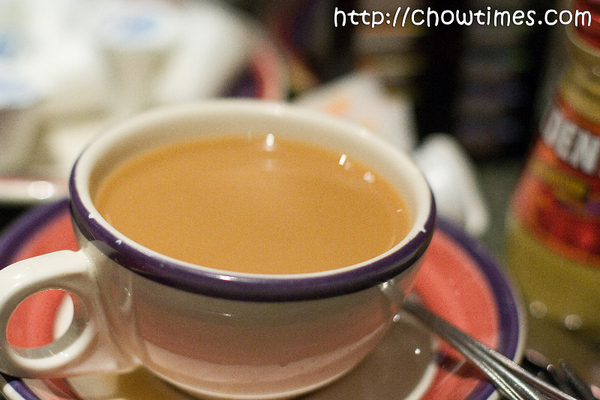 So, here it is … chowtimes’s first contest. CityPass had agreed to sponsor TWO CityPasses to New York. These CityPasses is their Winter Special where it is valid until Marh 15th (their normal CityPasses is only valid for 9 days from first use). You may find out more from the link to their Winter Special here. This CityPass will make a great gift and would especially useful for people who live in or around New York City. Imagine … you don’t have to rush from one attraction to another … just take your own sweet time to properly explore the museums and other sights all through Winter to Spring. It is simple. You just need to answer correctly 5 questions posted below. You answer by clicking on the comment link at the bottom of this entry and submit your answers. The first entry with the most correct answer will win the tickets. I will announce the winning entry on December 30th which means a two day period for you to participate. Oh yeah, you need to leave your email address when you submit your entry so that I know how to contact you. For the winner, I will forward your email address to CityPass who will then contact you to deliver the CityPass. A tip here … answers are found throughout my New York series. What is the name of the apartment building that John Lennon lived last? How much does it cost for a CityPass to New York? How many floors does the Empire State Building have? Name at least two types of Jewish cuisine/food that I had tried in NYC. What is the name of the theater where the Late Show with David Letterman is shot? Here is wishing all of you a Christmas that is filled with Joy, Peace and Hope. 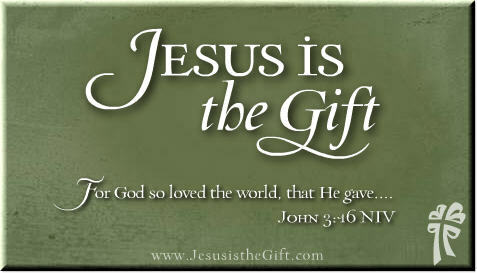 As you spend time with your family and loved ones, remember the reason for the season. 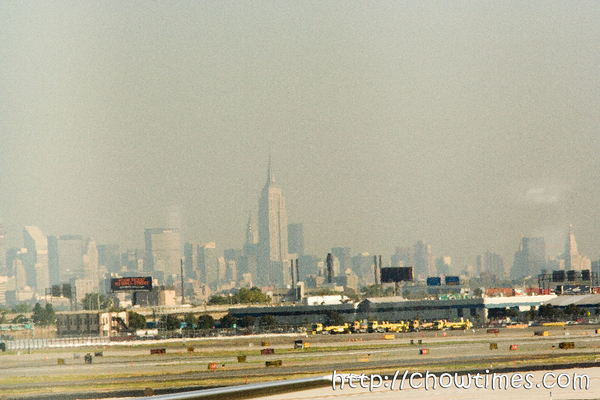 This is my last posting on the series on New York. I actually had only five full days in the city but did managed to squeeze in quite a lot within that short span of time. 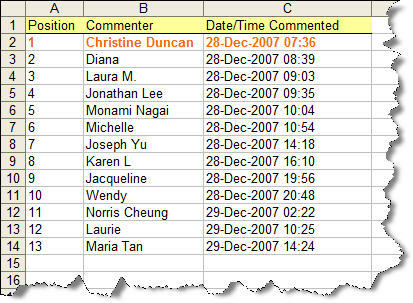 And to think of it, this had resulted in 27 individual blog entries. Frankly, I had as much time blogging about it and sharing my vacation with you as I did on the vacation. My route back to Vancouver was not without drama. Since I was traveling on staff pass, I had very little choice when it comes to the routing. I had to fly from Newark to Houston to Vancouver. That will take me the entire day traveling alone. I knew it would be a challenge getting on a standby flight. 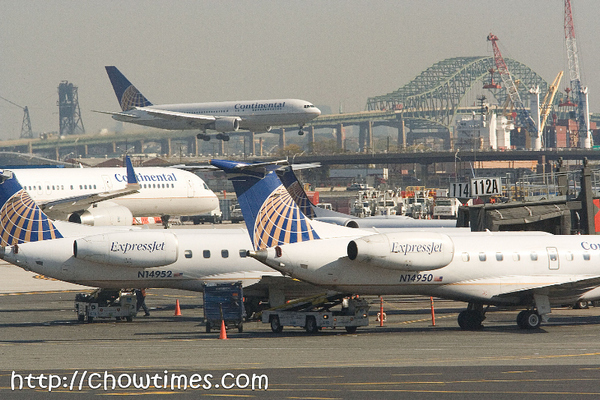 So, without taking any chances, I attempted to get on a 2PM flight from Newark to Houston. I figured that if I could not get on this flight, there are two other hourly flights. Guess what … the flight was full and it appears that there are more people trying to get on standby than I could imagine. There were 45 names on the standby list … and me being on what they call a SA5 (space available priority 5), that means that, well, my name is #43 on the list. Moreover, they only have 20 seats available for this flight … that sounds like real trouble to me. I waited for the flight the next hour, and it was not much better … there were over 30 names on the standby list and as a SA5, I am always at the bottom. My last option was the 4PM flight. If I could not get on the flight, I would miss the connecting flight to Vancouver. I went to customer service for help and as much as they tried all possibilities, it appears that my only real option is to try to get on the 4PM flight and land in Houston with only SEVEN minutes to get to the connecting flight gate! Well, I guess, I might as well take the chance since the worst thing that could happen is that I either stay one more day in New York or one more day on Houston. I finally got on to a half empty fight from Newark to Houston … it’s weird to think that just two flights earlier, the flights were absolutely full. 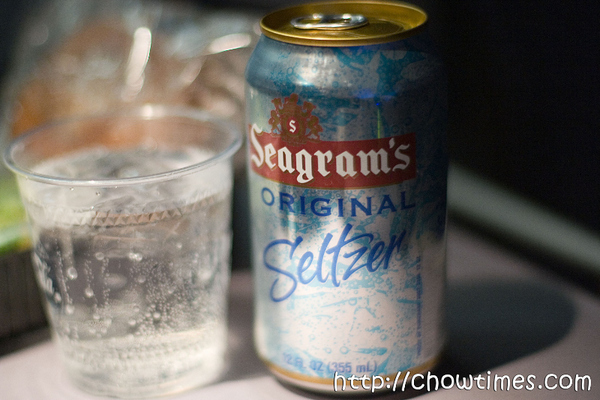 While on the flight, I took the time to do some research for “Plan B” … a day trip in Houston in case I missed the connecting flight. This was my last meal in New York City. Looking back, it had been a really eventful vacation for me, especially so, when I had not really finished planning for this until I was on the plane. If there is one thing I gained most from my job, it’s the experience in traveling. So, for this last lunch before I head off to the Newark Airport, it was nothing fancy. I just chose a diner close to the Penn Station where I am due to catch a airport shuttle bus. 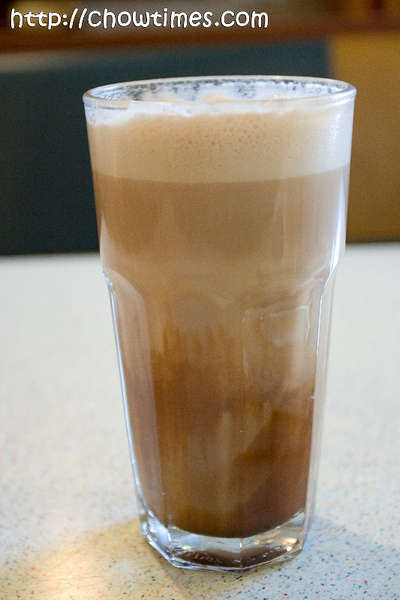 One last thing, I wanted to try … it’s that illusive Egg Cream … this time with chocolate syrup. 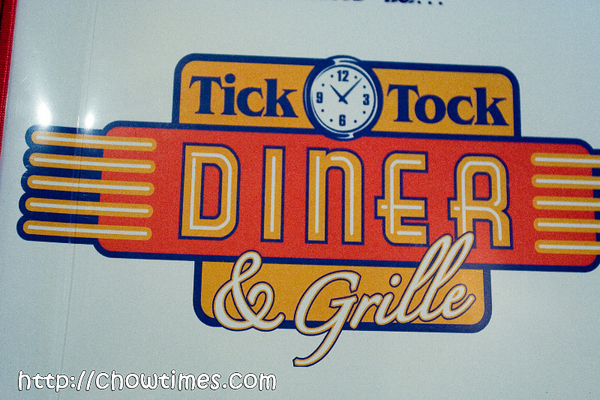 The place I went to is the Tick Tock Diner and Grille. I had Egg Cream in Katz but it was with vanilla syrup. I later read that the real deal with Egg Cream is with chocolate syrup. I like it a lot but I do also think that this is very very fattening. It’s a fizzy drink. Despite its name, there is no eggs nor cream … it is made milk. carbonated soda water and of course, chocolate syrup. This is one place I know Suanne would absolutely love if she is with me in NYC. Being a cheesecake addict, I bet she will want to visit this place more than once. There are many types of cheesecakes in the world. 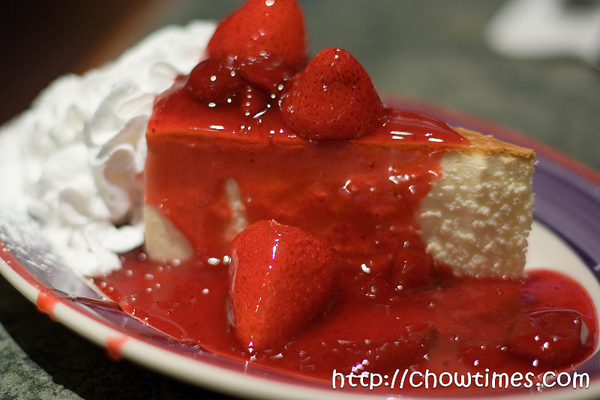 However, when people think about cheesecakes, they invariably think of the New York-style cheesecake. In New York, that would either mean Lindy’s or Junior’s. Each of them have a rather similar tagline. For Lindy’s, it is the “world famous cheesecake” … while, Junior’s is the “most fabulous cheesecake”. I thought I won’t go wrong with the World’s Most Famous Cheesecakes. Lindy’s is a deli/restaurant located in Time Square. I heard they have a few other outlets too in Manhattan. When does one normally have cheesecakes anyway? I guess it’s supposed to be dessert for dinner and maybe lunch. I had it for breakfast. That kind of work for me. 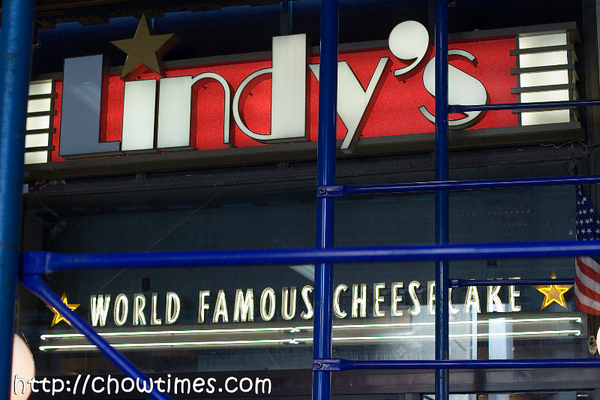 According to my guidebook, the NY-style cheesecake is actually made famous by both Lindy’s and Junior’s. This style of cheesecake is sometimes referred to as the Jewish-style cheesecake. After that somewhat disappointing experience with the fancy pizza in Lombardi’s, this time I ordered the safest item and the 1st item list listed on the menu … the Lindy’s Famous Original NY Cheesecake with Strawberry. $8.29 per slice below. There are other flavours like Cherry, Blueberry, Pineapple and Brownie and of course, the plain cheesecake. Strawberry is good … brownie, I am not sure. Hope you’ve enjoyed the series on my trip to New York City. I am not quite done yet but wanted to ask you to stay tuned for the next few days. Here is the chance to follow on my footsteps … I have a couple of CityPasses (worth $130) to New York to give out just before Christmas, sponsored by none other CityPass. 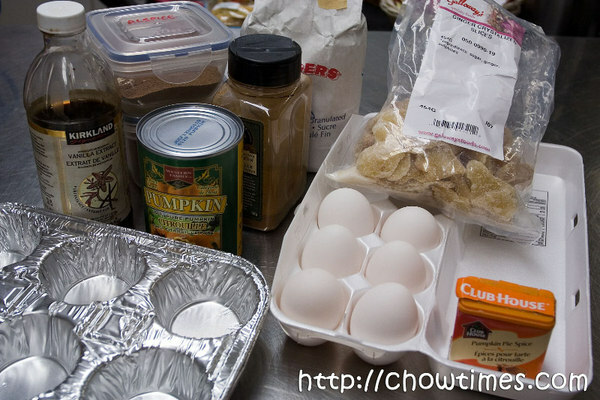 I am going to run a simple contest and the winner will get a Christmas present from chowtimes and CityPass! CityPass had announced that they now have Valid All Winter Special passes. Instead of the normal validity of just 9 days from first use, this one will be valid all winter long. I think this will especially be useful for people living in and around New York and will undoubtedly make a great gift too. I’ll tell you more about it in the next few days.